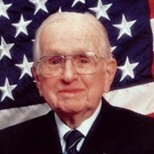 Dr. Norman Vincent Peale became one of the most influential clergymen in the United States during the 20th century. Ordained in the Methodist Episcopal Church in 1922, Peale served as pastor at a succession of churches before changing his affiliation to the Reformed Church in America. This enabled him to become pastor of the Marble Collegiate Church in New York City. There he gained fame for his sermons on a positive approach to modern living. Born in 1898, Peale confessed that as a youth he had an inferiority complex and developed his philosophy of positive thinking just to help himself. In 1937, Peale established a clinic with Freudian psychiatrist Dr. Smiley Blanton in the basement of the Marble Collegiate Church, which grew to an operation with more than 20 psychiatric doctors and psychologically-trained ministers. In 1972, it became the Institute of Religion and Health (IRH). Peale remained affiliated with the IRH as board president and chief fund raiser until his death in 1993. He was awarded the Presidential Medal of Freedom by Ronald Reagan in 1984 and has also published several best-selling books, including The Power of Positive Thinking, which has sold more than 20 million copies. Peale pioneered Christian Psychology and in 1945, founded the Foundation for Christian Living with his wife, Ruth. For 54 years, Peale’s weekly radio program, The Art of Living, was broadcast on NBC. His sermons were mailed to 750,000 people a month, and his life was the subject of a 1964 movie called One Man’s Way. Peale and his wife started Guideposts magazine in 1945. Its circulation now tops three million, the largest of any inspirational magazine in America. • Become a possibilitarian. No matter how dark things seem to be or actually are, raise your sights and see possibilities—always see them, for they’re always there. • Believe it is possible to solve your problem. Tremendous things happen to the believer. So believe the answer will come. It will. • Formulate and stamp indelibly on your mind a mental picture of yourself as succeeding. Hold this picture tenaciously. Never permit it to fade. Your mind will seek to develop the picture...Do not build up obstacles in your imagination. • People become really quite remarkable when they start thinking that they can do things. When they believe in themselves they have the first secret of success. • Your enthusiasm will be infectious, stimulating, and attractive to others. They will love you for it. They will go for you and with you. • Part of the happiness of life consists not in fighting battles but in avoiding them. A masterly retreat is in itself a victory. • Action is a great restorer and builder of confidence. Inaction is not only the result, but the cause, of fear. Perhaps the action you take will be successful; perhaps different action or adjustments will have to follow. But any action is better than no action at all. • Empty pockets never held anyone back. Only empty heads and empty hearts can do that. Was Peale successful in satisfying the book’s purpose? My answer is an enthusiastic yes. Formulate and stamp indelibly on your mind a mental picture of yourself as succeeding. Hold this picture tenaciously. Never permit it to fade. Your mind will seek to develop this picture. Never think of yourself as failing; never doubt the reality of the mental image. That is most dangerous, for the mind always tries to complete what it pictures. So always picture “success,” no matter how badly things seem to be going at the moment. I have been asked if The Power of Positive Thinking is only for Christians. Though Christianity and the Bible are important parts of this book, I believe that almost anybody can benefit from reading it.